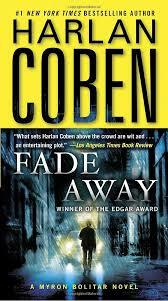 Blurb: In novels that crackle with wit and suspense, Harlan Coben has created one of the most fascinating heroes in suspense fiction: the wisecracking, tenderhearted sports agent Myron Bolitar. In this gripping third novel in the acclaimed series, Myron must confront a past that is dead and buried – and more dangerous than ever before. The home is top-notch New Jersey suburban. The living room is Martha Stewart. The basement is Legos – and blood. The signs of a violent struggle. For Myron Bolitar, the disappearance of a man he once competed against is bringing back memories – of the sport he and Greg Downing had both played and the woman they both loved. Now, among the stars, the wannabes, the gamblers, and the groupies, Myron is embarking upon the strange ride of a sports hero gone wrong that just may lead to certain death. Namely, his own. Review: This is the third book in the Myron Bolitar series and I want to start this review by telling you the same thing I told you in my review of the second book (Drop Shot). Myron Bolitar is hilarious. Laugh out loud hilarious. Yeah sometimes it’s pretty cheesy, but for the most part it’s really funny. Humor is not something I have in the book that I read, so this was a nice light read for me … just what I needed, really! In this book Myron is called back onto the basketball court. His NBA career was over before it even began many years prior when his knee blew out after an unfortunate collision with another player. So you could tell that Myron was as giddy as could be when the opportunity arose which would place him back on the court. Yeah, he understood he wasn’t in as good of shape as the other guys and that he would likely warm the bench. But still, you can’t help but smile at the thought of a second chance for Myron. Regardless of how short-lived it would be. And so what if this opportunity arises because a star player has disappeared and he’s really only joining the team to get closer to the team members in order to try to find Greg Downing. There are many twists and turns in this one. Myron finds himself crossing paths with the Mob, murderers, blackmailers and even some people who have been underground for many years after being outed as 1960s revolutionaries. There’s a lot that goes on and every twist and turn definitely kept me on my toes because I never knew what Myron would find himself involved in next. Overall this is a really good book. The characters were well-developed. The writing was excellent. The storyline was interesting. The book’s pacing was spot on. There’s not much at all I can honestly find to complain about. I’m definitely interested in seeing where Myron goes next now that he’s had his “closure” from his playing days. I think what I like most about Myron is that yeah he’s funny, but he’s really got heart. There’s just something to him that works. Definitely a good book that I would definitely recommend, but I don’t know if this one would standalone very well. I’m sure it would be okay, but I honestly think that you won’t understand some of the secondary characters if you don’t have the background of the first two books. I LOVE Myron and Win. I’ve read them all and they only get better. After you’ve caught up you should try the YA series Coben writes about Myron’s nephew. I think the third one is coming out this year. I’ve read the first book, Shelter. I remember enjoying it, but never seemed to get my hands on the second book. I should make that a priority now. Huge fan of Myron and Win – you gotta love a man with such a great sense of humor!